Investing in an investment fund means that you pool your money together with other investors. Instead of owning shares, options, real estate, etc in your own name, you own units in the investment fund and the investment fund is the owner of the shares, options, real estate, and so on. You don’t get to decide how the investment fund is run, so you can not force the fund to invest in a certain company or stay away from a certain industry. You are giving up a great deal of autonomy, hoping that a professional fund manager will make better financial decisions than you would on your own. Also, any voting rights stemming from shares owned by the fund is controlled by the fund and not buy you. If you had owned the shares in your own name, you would have voting rights, but now you don’t because the shares belong to the fund. A positive aspect of investment funds is that they often manage to get transaction costs for purchases and sales down since they are making such large transactions. If each individual would have logged into an online broker and purchased a few shares in AT&T Inc and then sold them again later, the transaction costs would most likely have been much bigger than when the big investment fund makes one large purchase followed by one big sale. Investment funds will usually strive for a high degree of diversification, but it is also common for them to have some sort of focus rather than just invest in anything they come by. You can for instance find investment funds that are focused on a specific region of the world, or a specific industry, or stick to a specific investment strategy, or only invest in certain asset classes, and so on. Before you invest in any investment fund – a mutual fund or some other type of investment fund – you should ideally check out how the investment managers are paid. Do they get a fixed amount each year regardless of result, or are their compensation wholly or party based on the performance of the fund? You should also check out other costs, since even seemingly small costs can impact the profitability of your investment. Each dollar you pay is not just a dollar lost right now, but also a dollar that could have yielded you a profit in the future if you had invested it instead. An open-ended investment fund is continuously open for new investments. As soon as someone wants to invest money in the fund, new units (shares) are created and sold to the investor. The price paid for one unit is based on the net asset value of the investment fund. When a close-ended investment fund is created, a certain number of units (shares) are created and the general idea is to not make anymore of them. If you arrive later and want to invest in the fund, you must search out someone who already owns units and is willing to sell them to you, for a price negotiated by the two of you. If the fund is desirable and is projected to become very profitable, the price per unit can be steep even if the net asset value isn’t very big yet. In most jurisdiction, there is no law that prohibits a close-ended investment fund from creating more units at its own discretion. This means that in reality, even a fund marketed as a close-ended investment fund will often decide to create new units if it attracts a lot of investor interest and existing units begin to fetch high prices. The creation of new units will usually cause a drop in sales price, since there are now more units in circulation. Mutual Funds in the U.S.
Mutual funds are very popular in the United States, especially among small-scale investors who see the mutual fund as a way to benefit from diversification and economies of scale, and to have their money managed by professional fund managers. The professional managers of the fund will need to get paid, and the fund will also have other costs, e.g. 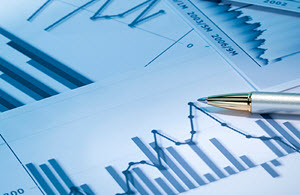 office costs, insurance costs and commission costs when assets are bought and sold. Mutual fund units (also known as shares) are purchased directly from the fund company or on an exchange where the mutual fund is listed. Over-the-counter trading is also possible, where the buyer and seller carry out the transaction outside any regulated exchange. In the United States, you can expect a mutual fund to tell you about their expense ratio in their advertising material. The expense ratio – also known as management expense ratio or MER – is calculated by taking the mutual fund’s annual operating expenses and divide them by the average dollar value of the assets under management. The higher the expense ratio, the more money is taken (percentage wise) from the fund to pay for operating costs. A fund’s trading activity, i.e. 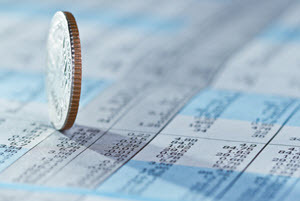 the buying and selling of portfolio assets, is not included in the calculation of the expense ratio. Loads and redemption fees are not operating expenses if they are paid directly by the investor and not by the fund. A 12B-1 fee is an annual marketing or distribution fee on a mutual fund in the United States. As mentioned above, it is considered an operational expense and is therefore included when the expense ratio for the fund is calculated. The 12B-1 fee gets its name from a section in the Investment Company Act of 1940. The maximum allowed fee is 1%. When mutual funds began to become popular in the United States, the general idea was that this marketing and distribution cost was good for the investor in the long run, because if the fund was marketed well, it would attract even more investments, and when the assets increased, economies of scale would bring the expense ratio down. Today, the 12B-1 fees are generating a lot of criticism. The fee is chiefly used to pay a commission to intermediaries that sell fund units (shares), and it has not been proven that this actually brings value to the investors. A front-end load is a charge paid when the investor buys into the mutual fund. It is paid directly by the investor and is not included in the fund’s operating expenses. Not all mutual funds have front-end loads. A back-end load is a charge paid when the investor redeems mutual fund units (shares). It is paid directly by the investor and is not included in the fund’s operating expenses. Not all mutual funds have back-end loads. Level load is the same thing as the 12b-1 fee explained above. 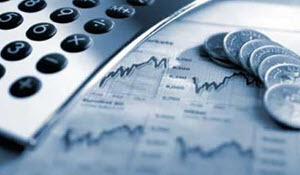 It is included in the expense ratio for the mutual fund and not paid directly by the investor. The fee is capped by law at 1% of the fund’s net assets. A redemption fee is a form of penalty employed by a mutual fund that wishes to discourage short-term in-and-out trading of mutual fund units (shares). How long you need to own your units before you can sell them without being slapped with a redemption fee varies greatly from one mutual fund to the other, it can for instance be 30 days in one fund and 12 months in another, so it is advisable to check this before investing in a mutual fund. The redemption fee is not kept by the fund company – the money goes into the fund’s assets. The redemption fee is also known as contingent deferred sales charge.